Unfolded Hearts Ministry has been a ministry in the hands of the Lord since day one, and it will forever remain under His care and transformation. For He has created, sustains, and shapes all things according to the frame of His purpose. I don’t feel I can expound fully here all the ways the Lord has been leading. But I can share this: I will be taking a sabbatical. Friend, I don’t find this troubling. However, it is a transition I’m adapting to. I’ve stated over the years to family that UHM is not who I am, but what I do. The gift(s) reside, I remain, In Christ-that is who I am! I have strong faith and patience endurance as I’m assured that I will receive what God has fully promised! The Lord led me to the above verse in Ephesians 3 which clued me in to some of the framing of how I will use my gift(s) to make His Name known in 2019. I believe we are in the 11thhour of Christ’s return. This will be UHM’s 11thyear. If we look at the current number ten, it biblically represents completion, divine order, nothing further is needed, the cycle is complete. The number 11 can indicate a time of transition or spiritual shift, of which I’m sensing to be true in my own life. Many years ago the Lord called me a forerunner. Often the Lord uses things in my life outwardly for what is happening prophetically as a forward sign, such as my description of the numbers in the above paragraph or for intercession or as a living parable of what is happening in this hour. The Lord shall preserve my going out and coming in, from this time forth and even forever more. I have much to share, steward, speak forth, and write for the great honor of our Lord. Let me end with this significant and timely testimony from my Mom. Significant because early in the year, I was back in MI helping my Mom due to a fall she had. While in the house and sleeping in my childhood room, I had a dream. It was an angelic encounter, as the Lord was releasing eleven thousand angels for my families generational line. I found this odd, yet I knew it was divine. I shared it with my pastors who confirmed it bore witness with them. Again, notice the number 11. After I had this dream encounter, I now personally associate the #11 with the generations and generational blessings and believe it to be a part of the transition of faith in the Body of Christ. The Lord has my heart and fully knows that I’ve asked for the generational blessings for years. He has begun to show me where I could find them. One is through my Mom’s salvation, which took place during the time of the Charismatic movement. This is huge as my mom became aware of the work of the Holy Spirit through this moment. If we take care of the generational curses, any familiar spirits who come to bring judgement, and all forms of witchcraft, we can partake of extensive generational blessings for our families. This subject deserves more time than I can devote here, however it must be mentioned. For further information consider reading, “Blessing or Curse: You Can Choose”, Third Edition by: Derek Prince. Be encouraged as we look back in Ephesians 3 and throughout the entire Bible, were we find mention of generations. “God can do anything, you know—far more than you could ever imagine or guess or request in your wildest dreams! He does it not by pushing us around but by working within us, his Spirit deeply and gently within us. Perhaps there’s a promise you too have been asking for! Why a timely testimony? Timely, because it’s for such an hour (11th) as this! John and I were in Michigan earlier this month and stayed with John’s parents. We had planned to take my Mom on a special day trip to Frankenmuth, which is well known and traveled to by many for the holidays. (If you’re curious you can Google it.) She used to go every year and I thought it would be a nice time for her to reminisce and enjoy all that it offers, including a famous chicken dinner at Bavarian Inn and also Bonner’s world’s largest CHRISTmas gift shop. The day we arrived in MI, she was not feeling well. In fact, she had missed a doctor’s appointment the day before. She missed getting her hair done too, and if you don’t already know, for a 90year old woman making it to the hairdresser is at the top of the list! I was a little concerned as she had a surplus of excuses as to why she probably wasn’t going to make the upcoming trip to Frankenmuth. I kept telling her that it’s OK because we’re not going to decide right now. The night before our day trip we got all her items ready and laid out her clothes, keeping it simple for her in the morning to get ready. Our trip was planned for Sunday day 5 into our visit. My mom told me she would call if she wasn’t feeling well. Sunday morning arrived and all was going well; it was a beautiful sunny and crisp day. My phone rang and I could see it was my Mom calling. John noticed too, nodding his head in doubt, certain she was calling to cancel. I answered the call, hearing “good morning,” and was greeted by a strong and excited voice: “I just want to confirm what time you’re picking me up?” she asked. When the call ended, I told John that she’s excited to be going! I thought to myself that’s a mature statement- I’m listening. It occurred to me, she was searching for God’s voice. This is amazing and it is all I could think then and now. Had I known this is what she was going to share, I would have voice-recorded her. My mom doesn’t usually talk like this, my friend. We are in a spiritual shift. A transition in time is upon us. We will receive our generational blessings by faith. Faith has action. Faith has sustenance. Faith has evidence. What, where, or whom are you putting your faith in? Let us learn from the One who was sent on our behalf, Jesus, and those exhibiting the finest of faith, as found in the eleventh chapter of Hebrews. Now faith is the substance of things hoped for, the evidence of things not seen. For by it the elders obtained a good testimony. By faith he dwelt in the land of promise as in a foreign country, dwelling in tents with Isaac and Jacob, the heirs with him of the same promise. Posted in Unfolded Hearts and tagged Bible, Christ, Christianity, Ephesians, faith, hebrew, Holy Spirit, hope, Jesus Christ, love, peace, prophecy, Prophetic Prayer, Religion & Spirituality, WordPress, WordPress.com. Bookmark the permalink. The Lord has ordained functioning principals in His Word as well as His function of Great Grace. 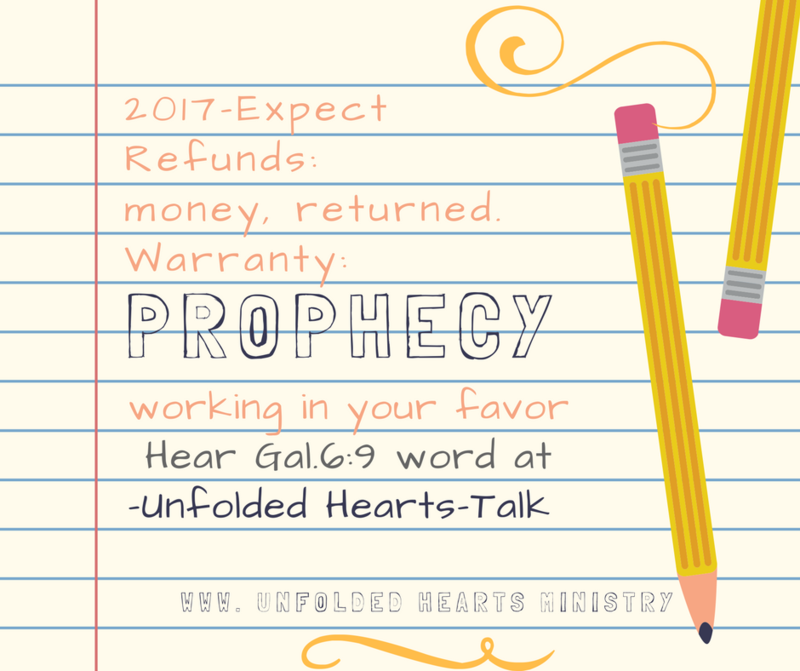 Listen to Word on Unfolded Hearts-Talk. //percolate.blogtalkradio.com/offsiteplayer?hostId=123613&episodeId=9765783 Galatians 6:9 Let us not become weary in doing good, for at the proper time we will reap a harvest if we do not give up. Posted in Unfolded Hearts and tagged authentic, Authority, Christ, faith, God, grace, gratitude, Holy Spirit, hope, peace, prayer, prophecy, Prophetic Prayer, Religion & Spirituality, WordPress.com, Writing. Bookmark the permalink.